Online ordering menu for Mas Fajitas (Killeen). 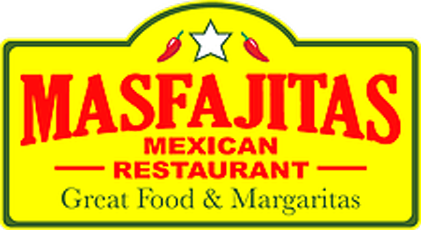 At Mas Fajitas, we take great pride in preparing from scratch our Salsas, Guacamole, Beans, Pico de Gallo, Shredded Chicken, Ground Beef, Soup and much more. We also locally source our ingredients and produce (when available). The history of Mas Fajitas started over 20 years ago when brothers, Albert and Mario Sorto "Learned" at their uncle's restaurant in Houston many of the great recipes we serve today. Our guests' favorite dishes are prepared here like no other place. The Caldwell special (#1 hands down! ), Steak Ranchero, Shrimp a La Mexicana, Enchiladas Verdes, Hot Skillet Apple Pie are on top of their list every time. Find us between Trimmier Rd and South W. S. Young Drive on Central Texas Expy. We're not far from Killeen Mall and Skylark Field Airport. Order online for carryout or delivery!